Fixing a Flooded Nebraskan Home | Styl Properties, Inc. Soon the waters will recede, remediation companies in the surrounding areas will spring into action. Only what, exactly, will these companies do? To fill you in, here are a few surprising facts about fixing a flooded home. However, it is not just the moisture. 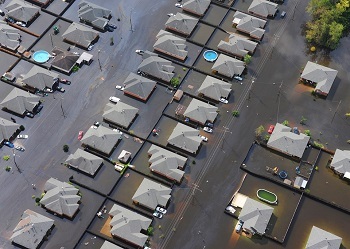 Flood water generally contains mud, bacteria, sewage, and chemical toxins. This is because flood water often causes the disruption of water purification sewage disposal systems, as well as the overflow of toxic waste sites and chemical spillage. “Drying off a 2,000 square-foot house in normal conditions may cost over $2,500, while in situations like Nebraska is experiencing, the job scope expands quickly—and so will costs,” says Peter Duncanson, director of operations and safety with ServiceMaster Restore. While flood insurance may cover the cost of repairs, you should make sure you have the right kind. If you live in a high-risk flood hazard area and have a mortgage from a federally backed or insured lender, then the distinction between water damage and flood damage is moot; you already have flood insurance as a condition of your mortgage. If, however, you do not have flood insurance, you will have to consider alternative means of financing the fixing a flooded home.